Nilufer Guleyupoglu, MD, is a specialist in helping people affected by pain and finding the most appropriate treatments for their individual situations. 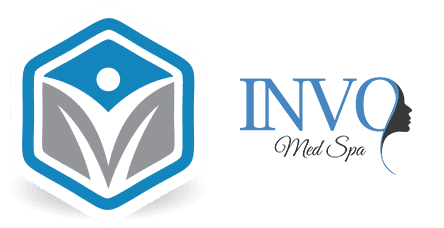 As owner and director of INVO Pain Medicine Group in Midtown, Manhattan, Dr. Guleyupoglu provides state-of-the-art facilities in her New York City office, including a fluoroscopy unit and ultrasound scanner on site. She has considerable expertise in physical medicine and rehabilitation and is committed to creating treatment plans that help ease the physical pain that affects so many men and women. Dr. Guleyupoglu earned her medical degree from Istanbul University Cerrahpasa Medical School in 1988, after which she worked as a general practitioner and medical lecturer. After choosing to specialize in physical medicine and rehabilitation, she was awarded her fellowship in pain medicine from Mount Sinai Beth Israel Medical Center in 2004 and worked at the hospital for a further twelve years. Both the American Board of Physical Medicine and Rehabilitation and the American Board of Pain Medicine certified Dr. Guleyupoglu as a specialist in the field of pain medicine, confirming her standing as a leading physician in her specialty. She has over thirty years of experience and has worked at some prestigious medical colleges and hospitals, including the Albert Einstein College of Medicine and New York University School of Medicine, both as a doctor and professor. Making good use of her expertise in physical medicine and rehabilitation, Dr. Guleyupoglu specializes in treating people who are living with chronic pain, using a variety of techniques to improve quality of life for anyone who‘s struggling to manage their pain. She believes it’s vital to ensure that people receive all the information they need and are kept up-to-date concerning their treatments and any developments in the field of pain medicine. You can be sure of a warm and welcoming environment when you visit Dr. Guleyupoglu. Dr. Guleyupoglu is also bilingual, speaking both English and Turkish. For your convenience, INVO Pain Medicine Group accepts most major insurance plans. We are excited to announce that we will soon be accepting Fidelis and Healthfirst plans!